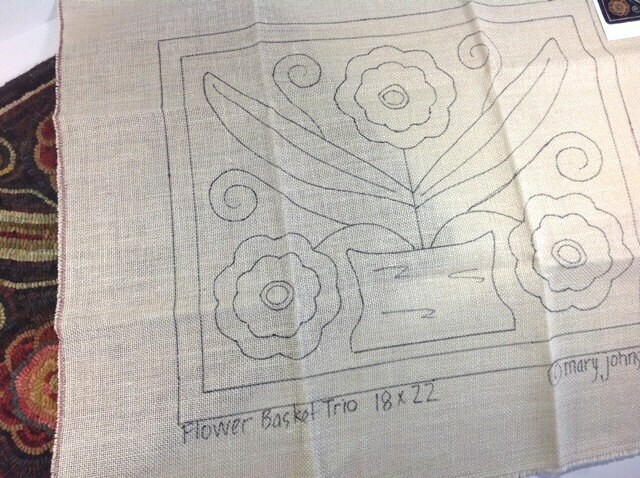 This listing is for the rug hooking pattern "Flower Basket Trio". A 4" x 6" photo is included. 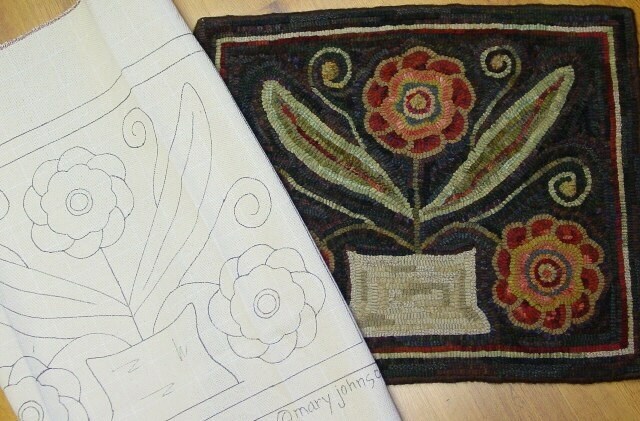 The design is 18" x 22" and is hand drawn by me with 4" inch borders to make it fit on most rug hooking lap frames or in a 14" hoop. 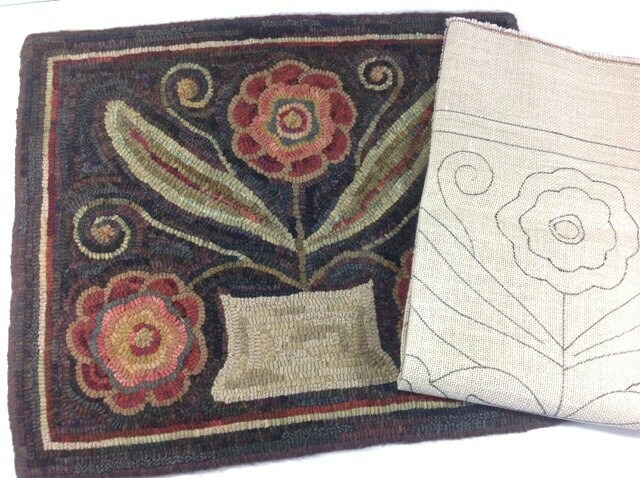 The raw edges of the backing fabric have been serged to prevent raveling during hooking. 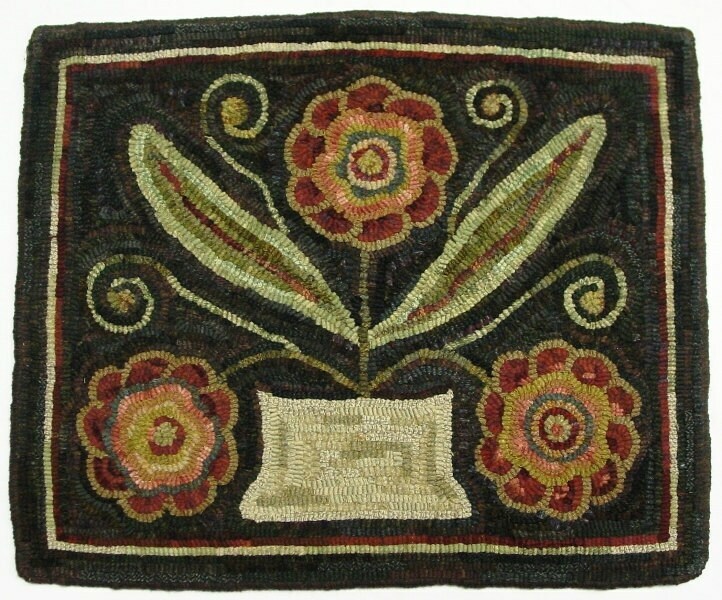 This primitive design of three flowers in a basket is a fun and easy pattern to hook. I used #8 cut (1/4" strips) of wool. It is suitable for beginners if you have taken or are planning to take a class, but also great for veteran rug hookers. Will be the perfect addition to my home. Thank you! excellent pattern, happy to hook it a second time! hooked it and loved it!